On Dec. 14 Square-Enix and developer Crystal Dynamics began teasing an announcement for Tomb Raider, the spring 2013 reboot starring a young Lara Croft surviving her first adventure in the exciting world of grave robbery. The announcement promised to “change the way play Tomb Raider forever.” Based on leaked details from British retailer GAME, the changes aren’t groundbreaking at all based on modern console game trends: Tomb Raider will have competitive multiplayer when it ships this spring. All Games Beta (via NeoGAF) spotted the GAME listing on Monday. 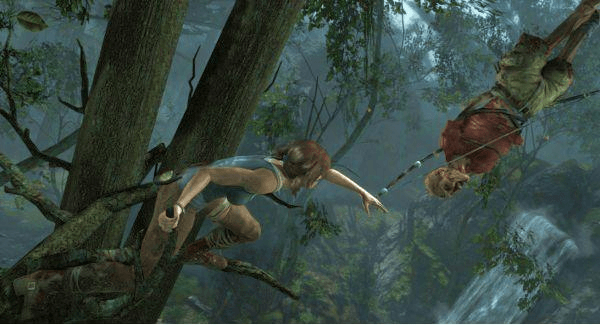 Amongst the key features listed for Tomb Raider was the following item: “Survive as a team: Play a variety of multiplayer modes as Lara’s shipmates or Yamatai’s scavengers.” The listing was promptly removed after All Games Beta published its stor. This is the first confirmation that Lara’s rebirth as a Nathan Drake-style adventure game hero would follow Uncharted into building a multiplayer mode on top of a narrative-focused game. It isn’t technically Lara’s first multiplayer adventure. That distinction goes to the excellent downloadable Lara Croft and the Guardian of Light, but it is the first game with the Tomb Raider brand to let players go head to head. Details about the upcoming reboot first leaked out back in 2009, with rumors claiming that Crystal Dynamics planned to make an origin story game following the disappointing sales and development of Tomb Raider: Underworld. This rumors re-emerged in late 2010 Word at the time was that the new game would actually be an open world game. While that hasn’t turned out to be true, the rumors that Lara’s new adventure would see her exploring a Japanese island as a younger woman were absolutely true. There was no indication then that the game would be multiplayer. Frankly, it’s disappointing to hear that Square-Enix felt the need to devote resources to the development of a multiplayer game that will in all likelihood be ignored by the game’s audience. Tomb Raider was delayed multiple times and it’s hard not to wonder if it was this multiplayer mode that held the title up. Dishonored, Skyrim, and other titles have proven that modern console games can succeed without wasting money and time on a multiplayer mode needed to fill a marketing bulletpoint.